The Flash Finds Its Director-- And It's Not Phil Lord and Chris Miller? A while back, 21 Jump Street and The LEGO Movie directors Phil Lord and Chris Miller were confirmed to be writing and directing The Flash for DC in 2018. However, shortly after, the duo were confirmed to also be doing an animated Spider-Man movie and a Han Solo spin-off... both in 2018 as well. We've known that they'll probably be dropping one of these films. And now, the news has come as to which film the comedy team will be leaving. Lord and Miller are leaving The Flash, having developed the story and will continue as producers. But the role of screenwriter and director are open, and now it seems they have filled it. 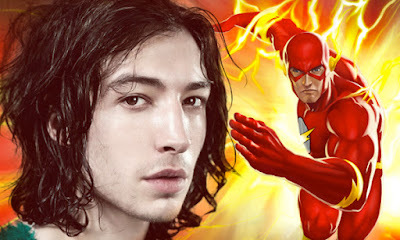 Author/screenwriter Seth Grahame-Smith is in talks to write and direct Ezra Miller as the fastest man in the DC Universe. Grahame-Smith's previous credits include writing the novels of Abraham Lincoln: Vampire Hunter and Pride and Prejudice and Zombies, as well as the screenplays for Dark Shadows and the film adaptation of Abraham Lincoln: Vampire Hunter. He has not directed anything before, and The Flash would be his directorial debut. Personally, I don't think this is a good idea. A major tentpole blockbuster is not a place for a first time director. It just isn't. We've seen it happen before to disastrous results. Look at Wally Pfister with Transcendence. He's an Academy Award winning cinematographer who has worked with one of the best directors in Hollywood right now, in Christopher Nolan, and he still dropped the ball with his first film. If a person as immensely talented as Pfister can't do it, how can a person who has written two really poor movies like Abraham Lincoln: Vampire Hunter and Dark Shadows do it? Don't get me wrong. I'm all for small, independent directors taking on blockbusters. I wrote a whole article on it a couple months ago, which you can read here. But what I'm not for is first time directors. With people like James Gunn and Colin Trevorrow doing blockbusters, they had years of experience working as directors in the indie world. Grahame-Smith hasn't had that. Even if he wasn't directing and was only writing, I still wouldn't like it because of his previous writing credits. I hope that DC turns out getting someone else, because I don't like this. But, you know what, maybe Grahame-Smith will surprise us all and blow us away. But as of right now, the odds aren't in his favor. What do you think? 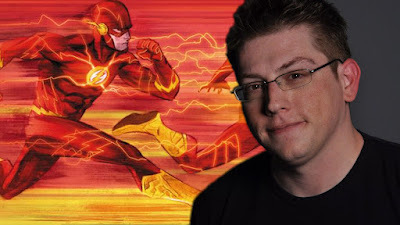 Do you like the idea of Seth Grahame-Smith writing and directing The Flash? Are you upset that Phil Lord and Chris Miller aren't going to be directing? Leave your thoughts in the comments section below.